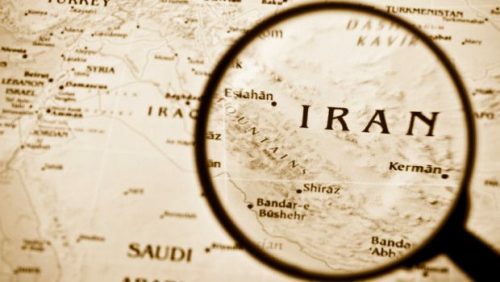 Is there a threat of an upcoming war in Iran? It is no secret that the Iranian lobby is threatening the US government that if they continue the sanctions it will lead to war. The regimes agent claim that the policy of regime change will lead the USA into a new war in the Middle East. This is far from the truth, the Iranian resistance is very capable to take over the government of Iran. The Iranian lobby has wrongfully compared a regime change in Iran with the invasion of Iraq and Libya, and that will, unfortunately, convince many Americans that a regime change policy towards Iran will lead the USA into war in Iran. The regime change policy does not mean that there is a need for a military action in Iran, it simply means that the US government must not stand in the way of the Iranian peoples right to change the tyrannical regime. In other words, the appeasement policy towards the Iranian regime must come to an end. Only then can there be a regime change in Iran. Unlike Libya, the opposition in Iran is both organized and powerful enough to bring forth an uprising strong enough to topple the mullahs regime. 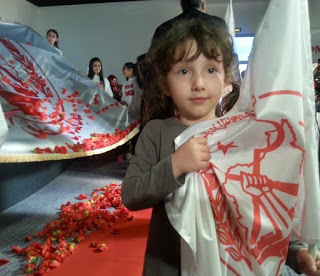 The popularity of the PMOI/MEK and the NCRI is widespread within Iran and that is the only reason why the regime's lobby falsely claims that the regime change policy will drag the USA into war. The regime is very well aware of the rising popularity of the Iranian resistance they experienced it first hand during this year's sham election, people openly criticized the regime's candidates and was chanting in the streets «My leader Maryam Rajavi» and «No to the Charlatan & no to the impostor» members of the resistance was hanging up posters of Maryam Rajavi, the NCRI President-Elect, in strategic locations all over Iran. It must be very frightening for the mullahs to see that the Iranian people are no longer afraid of the regime they are openly protesting and the public executions and flogging no longer intimidate people to silence. Millions of Iranian’s are ready for a regime change and they are ready to make sacrifices to accomplish freedom and democracy. 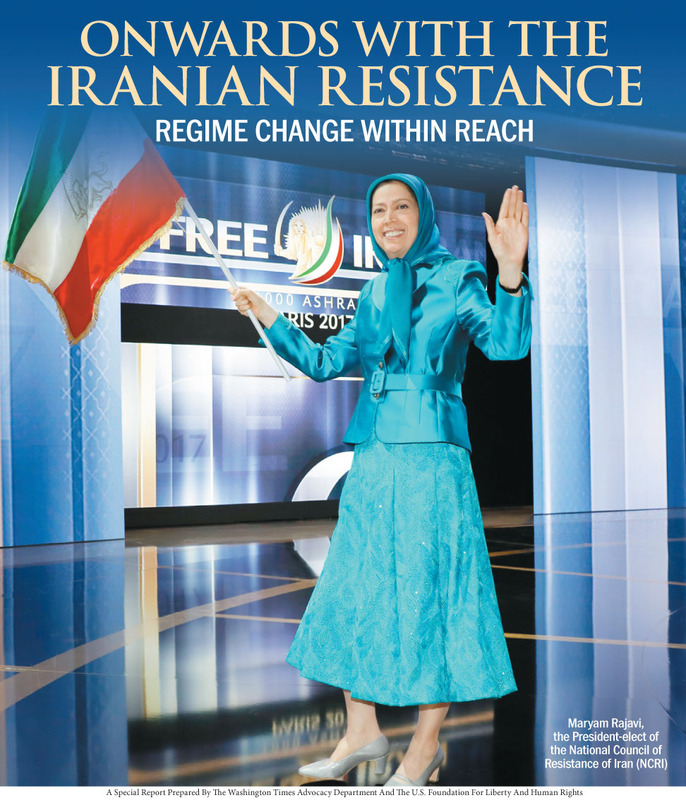 The Iranian resistance is very capable to mobilize the Iranian people to the final uprising to overthrow the regime. 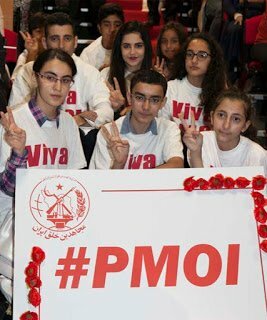 It has been 28 years of dictatorship in Iran, ever since the mullahs hijacked the people's revolution in 1979. the PMOI/MEK have been struggling to bring freedom and democracy to the people of Iran for many years and they are very close to succeeding with the help of the Iranian youth. Together we will be victorious together we will bring peace and tranquility to the people of Iran. Together we will lead Iran into a future that will be prosperous, and in the future, Iran will once again flourish and grow. In these days, evidence has surfaced that the Iranian regime is using commercial air flights to transport soldiers from Iran into Syria. This is a breach of the nuclear agreement that Iran signed with US officials, an agreement that gave US aircraft producers license to sell aircraft and spear parts to the Iranian regime but was restricted to apply to commercial traffic only. This new photographic evidence comes at a point when top U.S. air carrier manufacturer Boeing moves forward with a multi-billion dollar deal to sell Iran Air a new modern fleet. Many congressmen have opposed the deal due to Iran’s longstanding use of commercial aircraft for military purposes, it remains unclear if the Obama administration was aware of this activity. political prisoners in hall 12 of ward 4, the guards insulted and beaten the prisoners and they forcefully transferred the prisoners to hall 10 in the same ward. The prison authorities have deprived the prisoners of minimum hygiene products and decent clothing, the prisoners have also been deprived of all family visits and they have been placed under pressure to end their hunger strike. 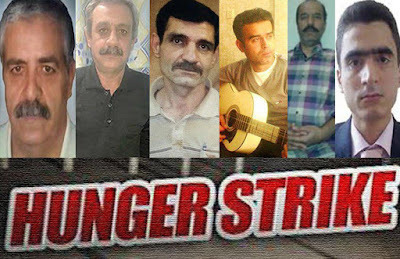 Since the news came out the prisoners on hunger strike have gained massive support not only around the world but also fellow political prisoners in various prisons across Iran have expressed their support. political prisoners in solitary confinement of Ward 4 in Gohardasht prison of Karaj, west of Tehran. 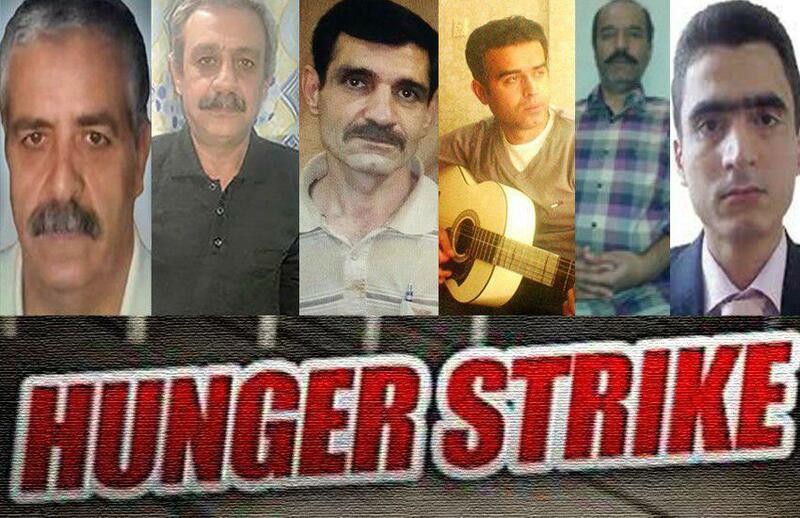 They have been on hunger strike to protest the regime’s ruthless attack on the prisoners on 30, July. The statement also mentioned the recently published Amnesty International report on human rights violations under the «moderate» Rouhani. the statement concludes with an urge to the President of the European Parliament, the EU High Representative Federica Mogherini, the UN High Commissioner for Human Rights and the UN Special Rapporteur on Iran to publicly condemn the continuous mistreatment of political prisoners in Iran and to call for their release. A group of exiled prisoners in Ardebil prison expressed their unconditional support to the prisoners on hunger strike and added that they would stage a hunger strike in support of their demands are not met. 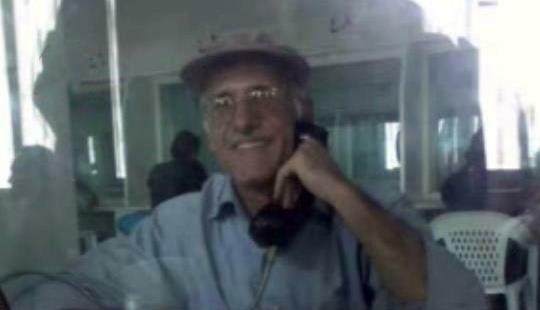 Also the political prisoner Ali Moezi expressed his support from Tehran’s Central prison. In his letter, he recalled his memories from Gohardasht prison, memories of the martyrs of the 1980's, particularly the martyrs of the 1988 massacre in Iran. He remembers the martyrdom of some of the political prisoners in recent years in Gohardasht. The lack of options for the prisoners to protest inhuman treatment has resulted in a number of hunger strikes, that is the only way the prisoners can show their discontent with the prison authorities. Political prisoners all over Iran needs our unconditional support, not only those that languish in Gohardasht prison. It is our duty to urge our leaders to put pressure on the Iranian regime to make them respect and uphold human rights. It is our duty to be the voice of those unable to speak for them selves. 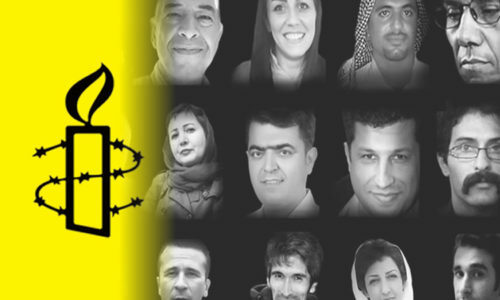 For as long as there are political or prisoners of conscience in Iranian prisons, the Iranian resistance will fight for their human rights and for their release, we will never forget and never give up until the last unjust detainee is released and free. In these days there is a petition on Change.org that is asking you to sign to support the call for justice for the victims of Khomeini’s death fatwa that demanded the execution of all political prisoners that was opposing the theocratic rule of the mullahs. the petition calls for justice for over 30 000 girls, boys, women and men massacred over a few summer months in 1988. most of the victims were members or supporters of MEK/PMOI. The crime against humanity is so grave that the Iranian regime has gone to great length to cover up their crimes. The regime has denied that the massacre took place for over 20 years but the truth always comes out, and the culprits of this hideous crime get revealed one by one. Since the regime is denying that the massacre took place it has proven difficult to obtain the identities of all the victims. We have to thank the brave Mojahedin activists inside Iran for all the information we have received, many of them lost their lives working on this project. During the massacre, all prisons across Iran were placed in a state of emergency on the day the carnage began. All personnel had to participate in the killings so they would not reveal the truth afterward. In many prisons and wards, prisoners were executed to the last person to ensure that the secrets would be buried forever. A statistical breakdown reveals that 38 percent of the victims were hanged, 48 percent were executed by firing squads and 14 percent were killed under a variety of circumstances: some died under torture, some were murdered when guards blew up part of the prison and some were hanged in public. Only 300 prisoners of the thousands held in Gohardasht survived the killings by mid-September 1988. victims include children as young as 13 years old. 25 percent were under 25 years, 58 percent were under 30. The wide range of professional background of the victims is another indication of how deeply the massacre cut into Iranian society, leaving no family unscathed in a country where extended families are still predominant. The criminals behind the massacre are now in high positions in the current clerical government. The supreme leader went as far as to state that the members of the death commission should be rewarded for their participation in the massacre. Khomeini said in a speech that if the regime had burned all Mojahedin in the first days after they hijacked the people's revolution in 1979 they would not have had to resort to massacre to kill the Iranian resistance. This is just a fraction of the facts about this hideous crime but we hope this is enough to convince you to join our cause and sign the petition to help us bring all criminals behind the massacre before a judge and a jury. The latest unofficial numbers from Iran suggests that approximately 276, 000 underaged girls got married and 109,000 teenagers gave birth in Iran in the past year. To find confirmed statistics is proven to be very difficult indeed. A lot of families in the rural areas of Iran fails to report underage marriages or they alter the girl's age to avoid problems. 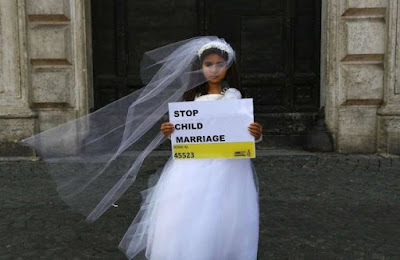 One of the issues that are causing this rise in underage marriages is the rising poverty in Iran, the parents are no longer capable to provide for their children and the only solution is to marry the girls off. The result of this trend is a rise in teenage mothers and complications during child birth, the complications are related to the fact that the girl is no more than an under developed child her self when she gives birth. According to Iranian law, a man can consummate the marriage if his «wife» is 9 years old. This is after western laws pedophilia and is the worst violation of a child’s rights. We can refer to this as lost childhood, they are forced to become adults at the age of 9. 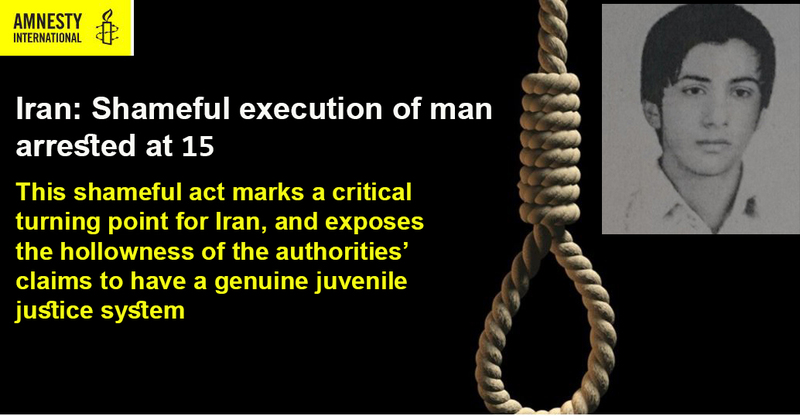 What is the recent rise in executions of juveniles in Iran a sign of? Ever since the clerics hijacked the people's revolution in 1979, they have been afraid of losing their stolen power and the only response the regime knows is by violence, suppression, and executions. The most recent violation is that of Alireza Tajiki, he was executed despite the fact that he was a child when he was sentenced to death. The United Nations Special Rapporteur on the situation of human rights in Iran, Asma Jahangir, has expressed outrage at the execution of Alireza Tajiki. 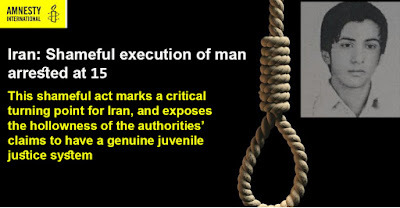 The Iranian regime executed him despite protests from different Human rights organizations. 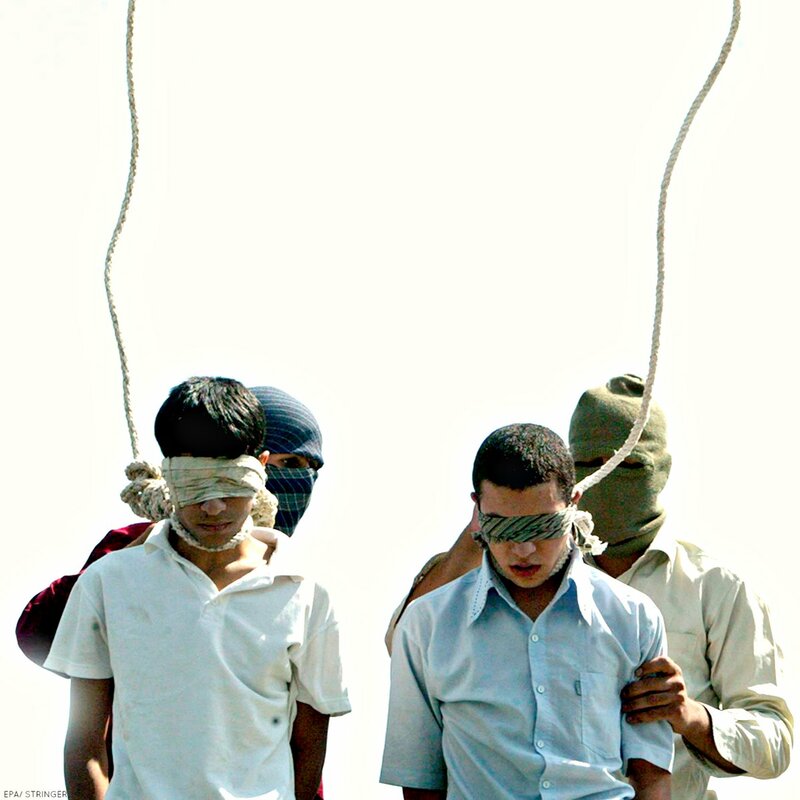 Alireza was arrested in 2012 at the tender age of 15, in 2013 he received the death sentence, he was only 16 years old. He was executed on August 10, 2017. Mr, Tajiki had reportedly been tortured and had not received a fair trial. The Special Rapporteur was distressed to the extreme to learn that the execution had gone ahead despite twice being postponed on previously scheduled dates. She also stressed that Mr. Tajiki’s death penalty was upheld following judicial procedures which did not meet acceptable international standards of a fair trial or due process. On Saturday 12, 2017 a senior delegation from the United States Senate met with NCRI’s President-elect Maryam Rajavi in Tirana the Capital of Albania. 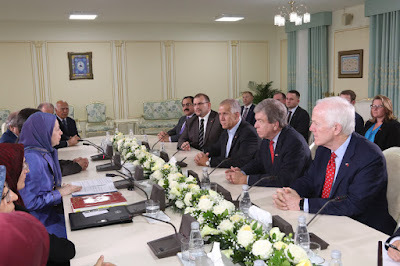 The agenda for this meeting was that of the situation for the members of the People’s Mojahedin Organization of Iran (PMOI/MEK) in Albania, the latest developments in Iran and the middle east as well as solutions to end the current crises in the middle east region. Attending the meeting was Senator Roy Blunt, Vice President of the Republican Conference, and members of the Appropriation, Select Intelligence, Rules and Administration, and Commerce, Science, and Transportation Committees; John Cornyn, the Majority Whip and a member of the Judiciary, Select Intelligence, and Finance committees; and Thom Tillis, a member of the Armed Services, Judiciary, Banking, Housing and Urban Affairs and Veterans’ Affairs committees. 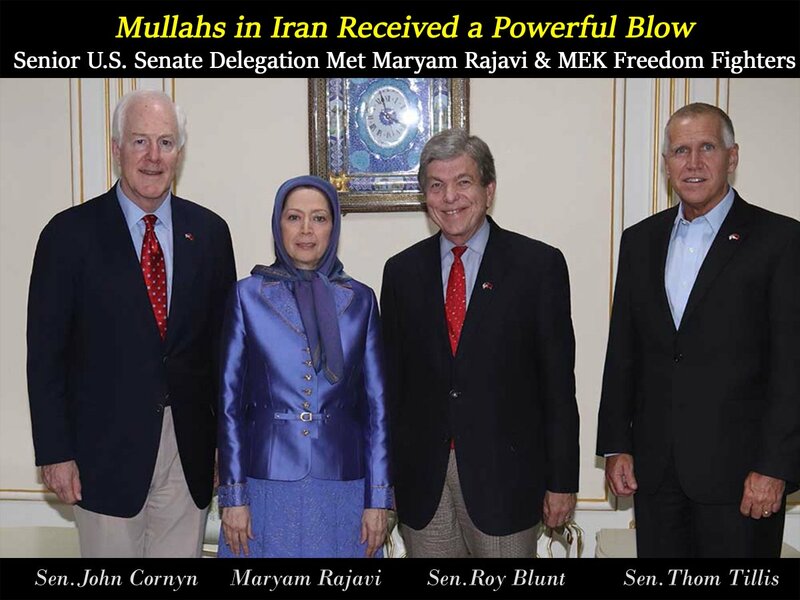 Maryam Rajavi thanked the senators for their decisive position vis-a-vis the Iranian regime referring to the latest sanctions against Iran and for putting IRGC on the terror list. She expressed gratitude for the efforts of the U.S Senate, particularly Senator Blunt, regarding the safe relocation of MEK members from Camp Liberty in Iraq to Albania. On this year's youth day the conditions for young people in Iran is worse than ever. The human rights abuse against young men and women have indeed increased under Rouhani’s rule. 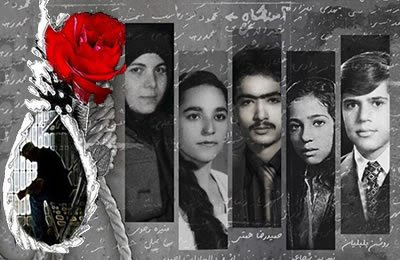 On InternationalYouthDay we remember and praise the vibrant, energetic & talented girls who were executed by Iran regime in 1988 massacre & were not able to blossom. The world’s politicians have believed the Iranian lobby’ists who have claimed that Rouhani is a moderate. But his merits proves different, under Rouhani 3000 prisoners have been executed and a large number of the victims are juveniles. Official records show that 5000 prisoners on death-row are between 20 and 30 years of age.The daily human rights violations have indeed increased at the same rapid rate. 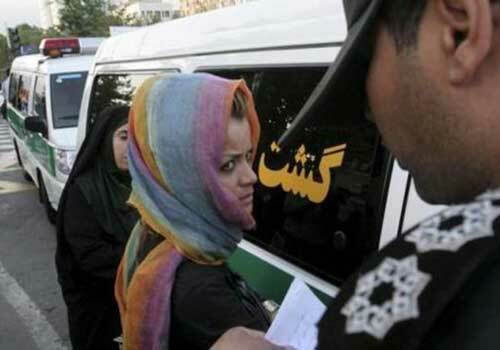 The clerical regime has cracked down on women in many different ways, the compulsory hijab law is one of them, even in the privacy of their own cars women are not allowed to remove their hijab. But we can observe that more and more women are breaking the rules of the regime, and that is a clear sign that the regime is losing their iron-grip on the Iranian people. During the presidential campaign for this year's sham election, the youth was out on the streets protesting with slogans like «no to the charlatan» and «no to the imposter» referring to the candidates of the presidential (S)election. 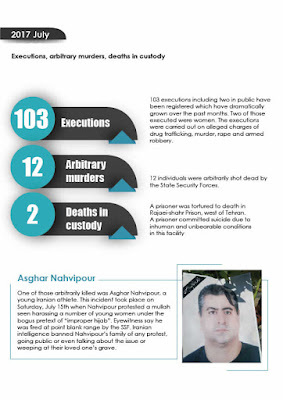 The answer from the regime was an increase in executions, arbitrary arrests, and unfair imprisonments. The culprits from the 1988 massacre and why it is important that they are prosecuted. As Rouhani starts his second term he has made some changes in his government, but it is not for the better, he just replaced an executioner with another. Alireza Avaie is replacing Mostafa Pourmohammadi who was one of the three members of the death commission responsible for the 1988 massacre. Rouhanis new minister of justice, Alireza Avaie, was directly involved in the 1988 massacre of political prisoners in Iran’s Khuzestan province. It has been proven Avaie’s involvement in the 1988 massacre in Younesco prison in the city of Dezful in the south west of Iran. Avaie served as Dezful’s prosecutor from 1979 to 1988. during the horrific massacre in 1988, he was serving as the revolutionary court prosecutor. Avaie was in fact sanctioned by the European Union in October 2011 for his role in human rights violations and direct participation of torturing and massacring political prisoners. What is the recent increase of protests in Iran a sign of? In 2017, we can see that the number of protests in Iran is rapidly increasing. 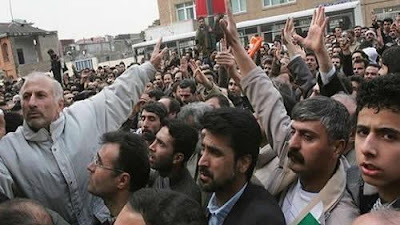 The Iranian people are no longer afraid to protest the misdeeds of the mullahs regime. There are many different ways the people are protesting, they do not just enter the streets anymore, they are protesting by hanging posters of the Iranian resistance leader in plain sight, they are protesting from their prison cells, calling for justice for the victims of the 1988 massacre but also protesting against all the human rights abuse that is taking place in Iran under the dictatorship of the mullahs. 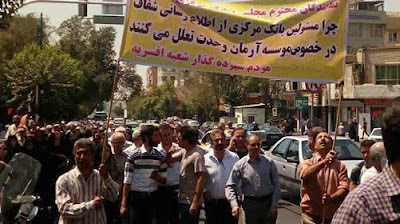 Tehran, plundered shareholders of Toseah finance institution (Arman) demand their lost savings. The regime’s power is withering away, the regime is working for only 4% of the population the other 96% are more or less left to defend for them selves while the mullahs are stealing the food out of the children's mouths. As the mullahs are getting fatter the people are starving to death, many families are forced to sell their children for pennies to survive. We have also seen the grave sleepers, people so poor that the only place they can call home is a pre-dug grave. The poverty in Iran is increasing at an alarming rate under the mullahs rule. This has made the population eager for change and the best option is the NCRI. The mullahs regime are very well aware of the fact that the Iranian resistance is growing inside Iran and they are prepared to do anything to stop the MEK/PMOI. The regime has been known to launch demonizing campaigns against MEK/PMOI to spread lies with the hope that the Iranian youth would believe them, but the Iranian youth have no intention to spend their lives as slaves for the clerical regime, the biggest wish for Iranian youth is a regime change, the youth are protesting against the mullahs because they want them gone and the youth know that the only organization strong enough to stand against the mullahs are the MEK/PMOI and the mullahs know this too. It is, therefore, safe to conclude that the recent development in Iran is a sign of a shift in peoples expectations in life, the Iranian youth is no longer content with living their lives as slaves for the regime, they are well educated and the young men can no longer sit by and watch young girls get married off at the age of 9, nor can they accept that women with the same skills as men are denied a job either by the bosses or their husbands. The young men in Iran have in the recent months protested, on behalf of their wives or sisters, the forced hijab law, they want the women to be able to choose for them selves. A regime change in Iran is inevitable and the people have made their choice they want MEK/PMOI to rule Iran, the people wish to wipe the mullahs out of Iran. One other thing that scares the regime is the very fact that the President-elect of the NCRI is a woman Mrs. Maryam Rajavi. Mrs. Rajavi has been working in the resistance for more than 40 years, and god willing she will be struggling for freedom until Iran is free. 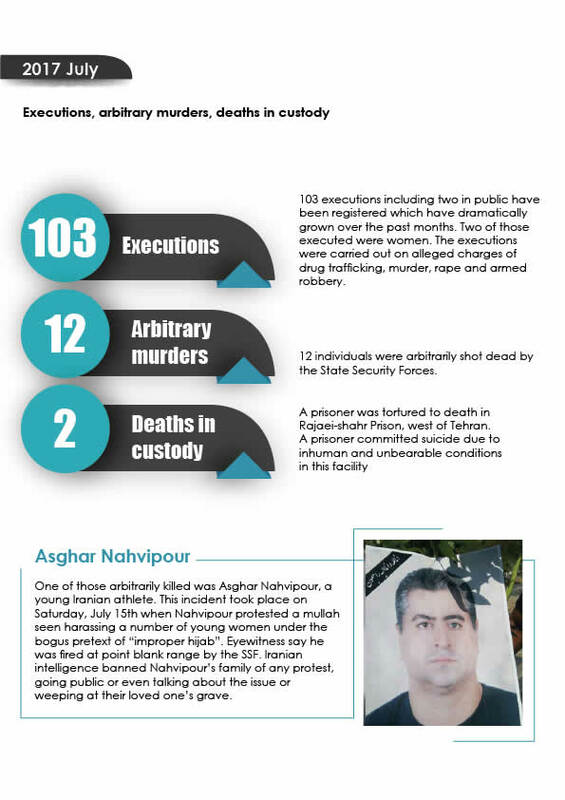 As Rouhani starts his second term as the President of Iran the suppression and executions are increasing. The notion that Rouhani is a moderate is proven to be false. So far in 2017, 101 people have been executed. Under Rouhanis tenure 80 women have been executed. If we compare that with the former President, Ahmadinejad almost 900 people were executed under his tenure, during Rouhanis tenure so far, more than 3000 people have been executed. 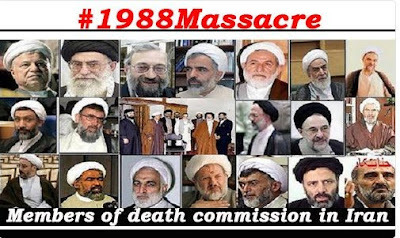 The regime has become more and more isolated since prominent politicians in EU are asking for justice for the victims of the 1988 massacre of political prisoners in Iran. And the list of collaborators with the dictators in Tehran is getting shorter by the minute, it is therefore very important for the regime to appear as moderates who value human rights and that the regimes most important work are the well-being of the people of Iran. 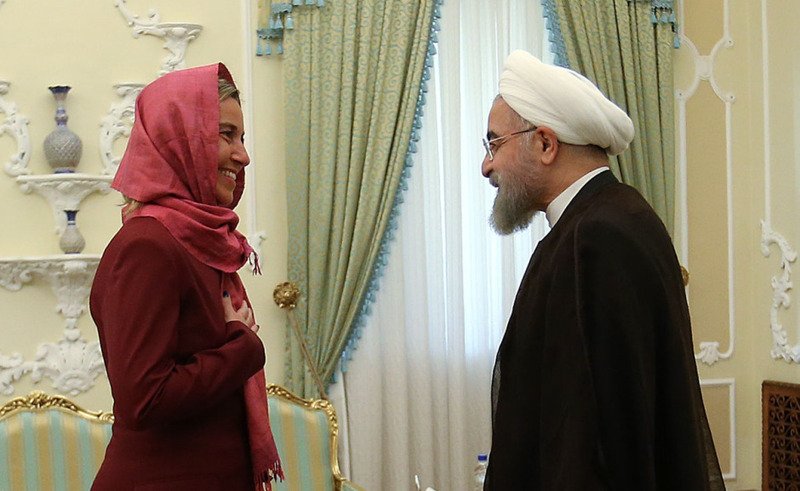 The fact that the head of EU foreign policy, Federica Mogherini is in Tehran to legitimize Rouhanis presidency show the length some politicians are willing to go for profit. It seems like the money rule. After the sham election, everybody thought that the executions in Iran would decrease but they have in fact increased. And the youth of Iran is openly showing their discontent with the clerical regime. The result of this is more abuse, arbitrary arrests, torture, and executions, but what more can you expect from the man that suggested public executions in the first place, Rouhani. Yes, that came from Rouhani, he also was in a key position during the horrific massacre of political prisoners in 1988. «How do you justify your visit, wearing a hijab in a country where women have no rights at all?» it has become quite clear that Mogherini just follows the money and she shows no regards for the loss of innocent human lives. The disregard of human lives is something she has in common with the dictatorial, clerical mullahs in Tehran. While 265 members of the European Parliament have strongly condemned the human rights violations committed by the Iranian regime, Some politicians still play the appeasement policy when it comes to the Iranian regime. In a joint statement, some European MP’s blasted Tehran for its abysmal human rights record. During Rouhani’s last tenure 3000 prisoners were executed, Iran has the highest number of executions per capita. The MP’s added that Rouhani’sminister of justice is a self-confessed murderer who was a member of the Death Committee, ordering the executions of over 30 000 political prisoners in 1988, most members of MEK/PMOI. The MP’s called for an investigation of the 1988 massacre, lead by the UNHCR and the Human Rights Council. Despite that, On August 5, 2017, several European politicians have plans to attend the Inauguration Ceremony in Iran. The most prominent of the visitors are Federica Mogherini, head of the European foreign policy and foreign ministers of Germany, France, and the United Kingdom. This ceremony is a smokescreen to cover up the international sanctions, the adoption of a new bill on sanctions and that the IRGC was blacklisted in both the two US Houses. The Regime has on forehand mobilized 100 embassies to invite foreign delegations to attend the Ceremony. The very fact that foreign delegates are attending this Ceremony will encourage the regime to do what ever they please. Some politicians still believe that the only way to get the regime to change their ways is by appeasing them, even if that is proven wrong time and time again. Ever since the movement that is demanding justice for the victims of the 1988 massacre have gotten more and more support for their claim by prominent politicians around the world. The regime is getting more and more isolated and is using their lobbies to stop the development. Mogherini is one of the politicians that wrongly believe that the JCPOA is the right tool to make the regime change their policy. One thing is made very clear by human rights abuse records in Iran, the clerical regime has no intention to change their ways. If the Human rights abuse in Iran is going to be stopped we must have a regime change. During the past months, there have been several attempts from the clerical regime in Iran to whitewash their crimes, in July this year several European politicians visited Evin Prison in a well-orchestrated charade to give the impression that there are no human rights violations in Iran, but the abuse is happening daily, take the mandatory hijab law, or the violations of human rights that are being committed by executing children. The list of crimes against human rights in Iran is long and bloody and will keep growing longer unless we take a stand and stand by the demands of the Iranian people. Iran vilify human rights defenders as enemies of the state? One other issue that should be addressed during this visit must be this: why does Iran vilify human rights defenders as enemies of the state? In the new Amnesty International report published 02.August they noted that the Iranian regime has waged a vicious crackdown on human rights defenders ever since Rouhani became president in 2013. it is a paradox that while the clerical regime is bragging about their increased engagement with the UN and EU, the human rights defenders are being punished for their contact with the same offices and they are being labeled as traitors and foreign agents. 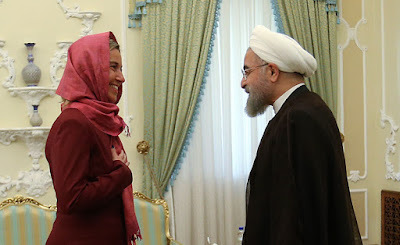 In these circumstances, we are deeply concerned that the European Union’s Foreign Policy Chief Federica Mogherini will travel to Tehran on August 5 to attend the inauguration ceremony of Rouhani’s 2nd term, according to her spokesperson. Such a visit will only encourage the mullahs to continue their repressive actions against the Iranian people, with EU’s blessing. This will also give a wrong message to the people of Iran who look at Europe to defend their rights.” Concluded the statement of Mr. Gérard Deprez MEP and Chair of the ‘Friends of a Free Iran’ in European Parliament regarding Mogherini’s visit to Iran. Why does the Iranian regime fear MEK so much? By misinterpret history, Khomeini wanted to open the way for the murder of his opponents and in the best of them the Mujahideen. In this way, Khomeini misused the name of Imam Ali, who is the true enemy of Khomeini and his historicist, in his speech. Khomeini never mentioned in his speeches any names from Imam He did not give a reason he just used that phrase to justify the murder of MEK members. 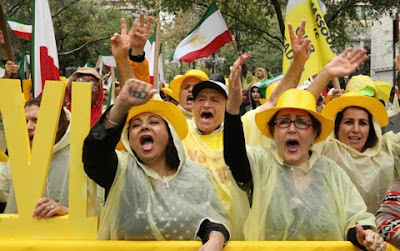 The regimes defeat in the war against Iraq resulted in social unrest in Iran and the only solution the clerical regime could think of was mass executions of MEK (Mujahedin e-khalk) the Iranian resistance movement. In a matter of a few months in 1988, the regime executed girls, boys, women and men that supported MEK. The executions of MEK supporters was of such proportions that it must be referred to as a massacre. More than 33 000 MEK members were massacred by the regimes death commission. The reason for the massacre of MEK members and supporters can be read between the lines in Khomeini's speech, the regime knew from that moment that the only thing that was a threat to the regime was MEK. The MEK had been a key player in the overthrow of the Shah and MEK was the victors of the revolution. The Islamic dictators hijacked the revolution from MEK and the persecutions and executions of MEK have continued to this day. 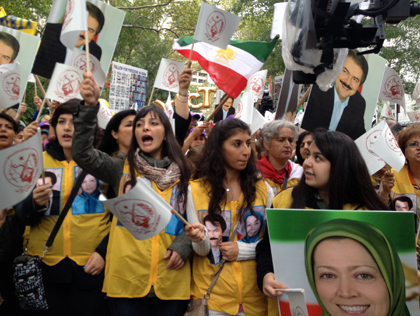 MEK members need no court procedures, kill them wherever you see them on the streets! If you find an injured MEK member finish him off. The MEK has no reverence, spill their blood and spoil their belongings. Judges should not accept MEK complaints. Those MEK members arrested must be thrown of heights or get their right hands and left feet amputated. Khomeini also remarked that the regime made a mistake by not killing the MEK members at the beginning of the revolution, he believed that if the regime had set MEK members on fire then, the MEK would have been finished. When today’s generation is trying to find information about MEK they will not find the truth but the regime's propaganda. The regime’s latest attempt to demonize the MEK was a film that even Khamenei defended. More and more of the Iranian youth are questioning the legality of the Massacre of MEK members in 1988. they are asking if the regime has nothing to hide why are they demolishing MEK mass graves? Why are they denying the families of executed MEK members to know the location of the graves of their loved ones? The result of this coverup by the regime is that more and more Iranian youth are joining MEK in the fight for a free and democratic Iran. The MEK and NCRI President-elect Maryam Rajavi will be the salvation for Iran.